I have made two discoveries this week and this doesn't happen that often with me. 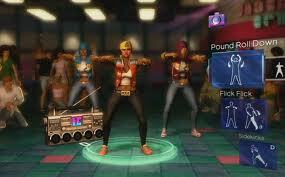 My buddy Christy invited me over to do Dance Central with her yesterday.....I LOVED it. I had such a good time I almost didn't make it home in time for my kids to get off the bus. I had tried Kinect at my Mom's house and liked it, but this game makes it all the more enjoyable. I can't wait to get my own now and get down at home. Everyone should give it a whirl. The next like is the movie The Backup Plan....ohhh such a funny cute romantic comedy. I laughed several times throughout. I really like Jennifer Lopez and think she is so cute and funny. And the guy.....nice abs is all I got to say. Christy and I both agreed that he has some nice abs going on in this picture. So if you haven't seen this movie I think it would be a great pick.